Younger first and second grade students often need constant reminders about covering their mouth and nose when sneezing. This lesson plan teaches them ‘why’ they should do so in a simple, hands-on way that will help them see what happens when they don’t. 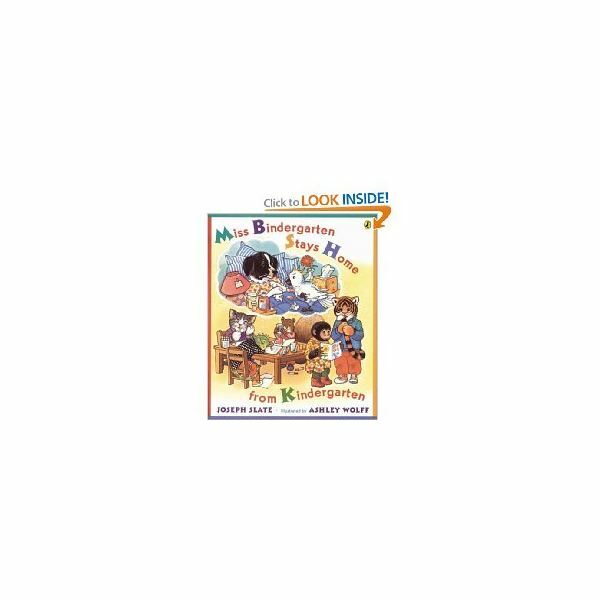 Start by reading “Miss Bindergarten Stays Home from Kindergarten” by Joseph Slate (Scholastic, 2000). (Amazon Link.) Notice that the cold and flu was passed around the classroom. The story begins with Miss Bindergarten getting sick and each day of the week, one more student stays home from school, sick. In the end, Miss Bindergarten comes back to the classroom, but the substitute teacher, Mr. Tusky is sick on Saturday. Although this is a fictional story, it has a lot of truth as this is could be a typical scenario in any elementary level classroom during flu season. This is a great lesson that not only teaches students about health, but also the alphabet, and it reinfoces learning about the days of the week. Discuss with students how a cold or flu is spread. The best precautions are proper hand washing and covering your mouth and nose when you sneeze. There is a great website, called, Kids’ Health, ages 6-12, with many health topics just for kids. You can incorporate the use of technology into the lesson and read the information with your class via computer or iPad, or send the site home for parents and guardians to review with their children. First, tell the students that germs and viruses cannot be seen with the naked eye, but that they can affect us by causing sickness. Tell them that you will give them a visual understanding of what germs might look like when we sneeze using talcum powder. Pour some talcum powder into your hand and pretend to sneeze, not covering your mouth or nose. Due to the element of surprise, this will get a rise out of the class because obviously the talcum powder will fly all over the place. Tell them that this is similar to the way “invisible” germs are spread through the air. Once the class has settled back down, tell the students to watch as the talcum powder “spreads” and repeat. Next, repeat the procedure, only cover your mouth with the inside of your elbow or a tissue and note the difference. (Note – You will want to choose your outfit carefully that day.) Next, if the talcum powder represents germs, then put a little bit more in your hand, and turn to shake hands with a student and pick up a classroom object. Ask the students what might be occurring as you do this. Model to the students proper hand washing, using warm water and soap. Teach students to hum a familiar tune, such as “The Happy Birthday Song” to themselves as they wash their hands, which will help them wash for an adequate amount of time. In summary, ask the students to think of reasons why Miss Bindergarten’s Kindergarten class might have gotten sick. Have the student’s journal what they have learned in a science notebook. In all of my years of teaching, this lesson has always had a profound impact on students. You will immediately begin to notice them covering their mouths, or apologizing when they forget to. Book Jacket photo courtesy of amazon.com.